Today at the end of year picnic for my toddler class, I had a chance to spend some lovely moments hanging out with some little ones (1.8 – 2.5 year olds) that I’ve known for five months now. 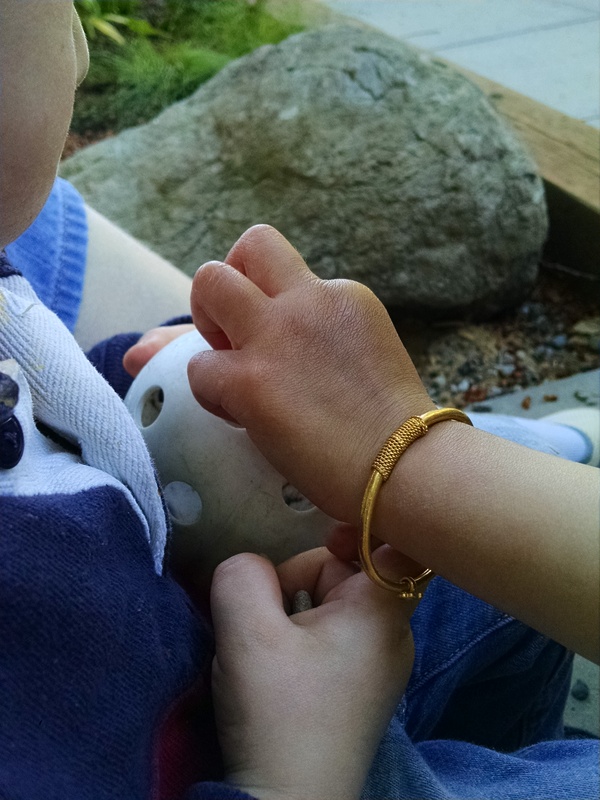 It’s such a delight to slow down to toddler speed and sit down and BE with children. I saw one crouched down on her knees and peering closely at something, so I sat next to her, and we watched one tiny little bug until it hopped away. Then we peered around till we found an itty bitty ant, and watched it, then another bug and another bug. We just watched. I talked a little, she didn’t talk at all, but we were clearly both engaged in the moment. Another child had something clasped tightly in his hands. He’d occasionally open them a bit, peek in, and clasp them tight again. I asked him to show me what he had, and he let me take a quick peek at the pebbles he’d collected before holding them close again. But then he and I shared a secret, so from time to time, he’d bring them by to show to me, and he let me know when he’d decided to set them down. Then I was at the sandbox. I found a star-shaped sand mold I started to fill with sand. Which of course caught one of the children’s attention, so he took the star out of my hand. There was no need to scold him for “taking something”. I just said “oh, that star is interesting. While you play with that, I’ll use this castle mold.” I packed it with sand. Then I caught his attention and flipped it upside down to make a sand castle. When I lifted off the mold, he was delighted by the sand castle. So delighted that he patted it gently till it was destroyed. Then he wanted to make his own. But the part of my actions that had made an impression on him was not packing the castle mold with sand… he’d been ignoring that part. He remembered when the castle was already flipped onto the sand, and I was carefully lifting the mold up to revel the castle. So, he took the castle mold, set it on the sand, and lifted it up to reveal… nothing but the sand that was there before… and an outline of the castle mold. He tested it over and over again before giving it back to me to do the magic again. As I demonstrated it again, he still just didn’t get it… that will come in time. But in the moment, he just enjoyed the exploration. Then one child had a whiffle ball, and figured out he could put rocks in through the holes. A simple spontaneous shape sorter. Two other children started playing too, all working on putting rocks in through the holes. The inventor soon wandered away, but I sat with the other two for several minutes as we all put rocks in holes. Although 99% of the rocks around us were small enough to fit, one of the children had a magic talent for finding the rocks that were too big to fit. So I would offer smaller rocks in trade. Then we figured out that if you gently shook the ball, all the rocks would fall out. It was just a simple, quiet little game, as we all settled in and explored together. Simple but sweet. Having all these quiet moments with children who used to be hesitant to interact with me and who have now welcomed me it was a lovely way to finish my year of teaching all these little people. This entry was posted in Early Learning / Preschool and tagged teaching on June 3, 2016 by Janelle Durham. Some preschools have a special focus, such as: religion, language learning, sports, arts, or science. Sometimes this is a special focus that is very important to the family, and they’re willing to drive long distances to get their child exposure to this special focus. But they also want to be sure that their child isn’t missing out on anything while getting this focus. How much of the day is spent on that special focus? If there is a limited set of activities offered at the preschool, how do you make sure your child gets a well-rounded set of the essential skills of the preschool years? (We can often “supplement” a limited preschool experience with other classes, or with the things that we do with our child at home, in non-school hours. What are your goals for having your child experience that special focus? And will the way that preschool teaches that topic meet your goals? I offer my experience here not as “here’s how YOU should do things” advice, but more to illustrate one parent’s decision-making process for one particular family. In this preschool, they managed to roll in most of they typical preschool activities under the theatre theme. For example, when they were talking about Midsummer Night’s Dream, the art projects were making donkey ears and fairy wings. They had pre-academic practice with reading words written on the board with names of characters. They had big motor play of learning different walks, learning prat-falls, learning some basics of stage combat. They had small motor practice with puzzles and such. Plus, they also had the additional challenges of learning a story, memorizing lines, practicing entrances and exits, and learning a whole lot of impulse control in having to wait to enter, wait to deliver their lines, and so on. I thought it was a fabulous program. They did not have outside time, so I made sure my child got outside time before or after class. They didn’t have a lot of free play and exploration time, but my child got plenty of that in non-class hours and at her coop preschool, so I really felt like all of her preschool learning needs were met through this combination of coop and specialty school. This entry was posted in Early Learning / Preschool and tagged preschool, theatre education on January 25, 2016 by Janelle Durham. Let’s talk about cooperative preschools (usually called co-ops). How does a coop work? It varies a little between schools, but typically, if you have a three year old, they would attend two days a week (for a 2 – 3 hour session). You would work in the classroom twice a month, and drop off on the other days. If you have a four year old, they would attend three days a week, and you would work in the classroom 2 – 3 times a month. Classroom assistants supervise kids at play, help with craft activities, read to kids, or assist with snack time. You would also occasionally be asked to provide snack for the kids. Coops are run by a volunteer board, and you would attend a monthly coop meeting. You would also be asked to take on an additional job, such as board member, registrar, field trip coordinator, play-dough maker, and so on. Parents also help with occasional clean-ups and with fund-raising. These other responsibilities might take up 2 – 8 hours of time per month in addition to working in the classroom. What is a child’s experience at like at a coop? Coops are typically play-based preschools. The majority of time is spent in free choice time – there are a number of typical “stations” in the room, such as: a dress-up corner, pretend kitchen, block play area, sensory table, drawing table, trains, and a book area. Plus, each day, the teacher prepares special activities for the day (invitations to play), such as art projects or nature explorations. The children choose which of these things to explore and for how long. There is typically also a group play time – often outdoors. There is also usually a group time where kids practice essential school readiness skills such as: sitting still, paying attention, and following directions. The mix of activities is chosen to help children learn all the essential kindergarten readiness skills. 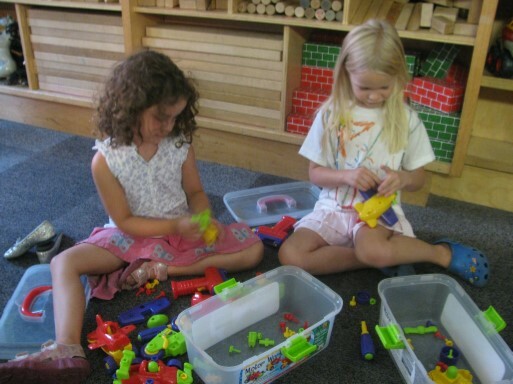 What are the advantages to coop preschools? High adult-to-child ratios. 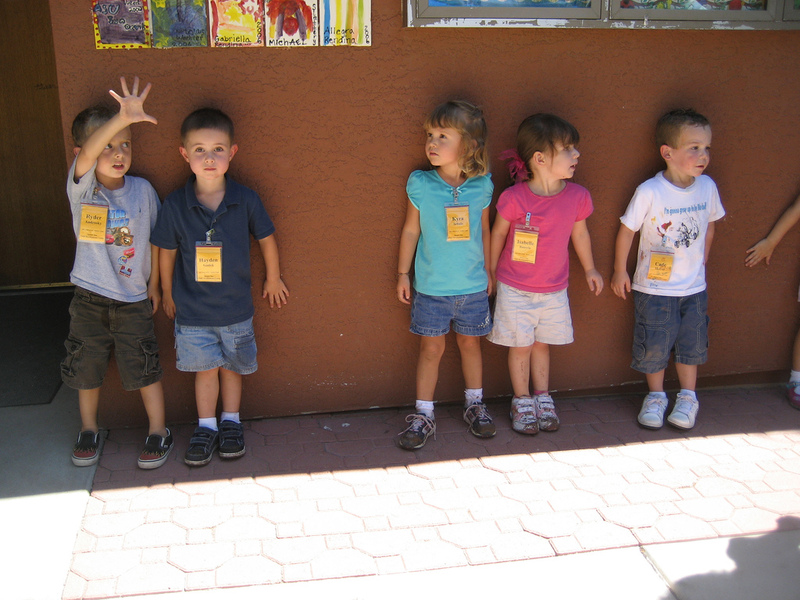 A typical preschool might have anywhere from 6 to 10 children per adult. A coop preschool is typically 3 to 5 children per adult. Play-based. The best way for young children to learn! Children see their parent participating in their school, which reinforces how important the child’s education is to the family. Parents are more involved in the child’s education, and can reinforce at home what was talked about in class. Parents also know the teacher well, and get to know all the other children in the class, so they can help nurture their child’s growing friendships. Parents also make friends! Working side by side with other parents gives you the chance to make social connections and get parenting support from peers. Most include a monthly parent education session where you get expert advice on things like discipline, early literacy, teaching social/emotional skills, and how to support your child’s development. What are the disadvantages to coops? Limited hours: Coops are held for only a few hours a day a few days a week. If you need more than 10 – 12 hours of child care a week while you work, then a coop is not a good match. Child care logistics: If you have two children under 5, it can be trickier to work out a schedule that works for all of you. For example: on the days you work in the coop classroom, who will care for your other child? Some coops have a child care option, where coop members who are not in the preschool classroom take shifts caring for kids of the coop members who are working that day. But it is extra logistics compared to a drop-off preschool. Parental involvement: Coops do require a high degree of involvement, between working in the classroom, attending parent ed / coop meetings, and additional volunteer jobs. If you’re not interested in this, or unable to meet those commitments, you may prefer a preschool that only requires you to drop-off and pick-up. My oldest child attended coop preschool two days a week. At the time, I also had a baby, and so it was a little tricky to juggle child care for the baby so I could work at the coop. She also attended a drop-off theatre preschool two days a week. The time she spent at that preschool gave me time for focused one-on-one time with her little sister. Two years later, I returned to the same coop with child #2. (Crossroads Coop, sponsored by Bellevue College Parent Education.) She also attended two days a week, and on the other days, participated in other activities. I definitely experienced all the benefits I listed above. I met several friends myself, and I saw who they were friends with at class, and was able to set up playdates with those families to cement those relationships. And I loved parent ed, which helped to inform how I parented all my kids through those early years. With child #3, I’ve done drop-off preschools, because I work while he’s at preschool. And although I LOVE both of his outdoor preschools, I definitely find that drop-off is a very different experience than coop. Although I have met all the parents at his preschool, and I know the name of all the kids, I don’t know any of them as well as I knew the parents and kids at coop. Although I observe as much as I can when I drop off and pick up, and although I read his class newsletters religiously, I just don’t have anywhere near as deep of a connection to what’s happening in his classroom as I did with his siblings. If you’re a stay-at-home parent, or work part-time, I’d absolutely recommend coop preschool as a great enrichment program for your child, and a fun learning experience for you as well! How to find your local coops? If you live elsewhere, try internet searches to learn your options. Sometimes coops are sponsored by churches, county extension departments, or other groups. This entry was posted in Early Learning / Preschool and tagged coop preschools, Cooperative Education on January 21, 2016 by Janelle Durham. Outdoor preschools are rapidly gaining in popularity. In the Seattle area, just a few years ago, there were only a handful. This Parent Map article now lists over 25 in the Puget Sound region. They are typically a play-based preschool, where students spend 50 – 100% of the class day outside, year round, regardless of weather. Many are based on the forest kindergarten model, developed in Sweden, Finland, and Germany. …takes place in the same setting on a regular basis over an extended period of time. …while there are some structured elements, [it’s]largely emergent, child-directed, and play-based… young people have freedom to explore, play, build, create, imagine, and use their senses to experience the outdoor environment and engage with one another. What happens at an outdoor preschool? While some outdoor preschools are just a traditional teacher-led program that happens to be held outdoors, most outdoor preschools (especially those that follow the forest kindergarten model) focus on child-led learning, which may also be called emergent learning or inquiry-based learning. Instead of having a completely pre-planned curriculum, they are more likely to follow the children’s lead and respond in the moment. The teachers may have a goal for what they want to teach that day, but exactly how that plays out can be spontaneous. For example, the teaching concept of the day might be comparative words or adjectives. The activity might be a hike in the woods. While hiking, the teacher could ask: which is the tallest tree? where’s the biggest rock? which are there more of – sword ferns or skunk cabbages? Can you find a dark green leaf and a light green leaf? Or if the concept was the five senses, they would practice listening for birds, smelling cedar bark, tasting huckleberries or salmonberries, touching lichen, and looking for spider webs. themes: almost every preschool has a series of “themes” during the year. In the fall, it might be pumpkins, fall leaves, or spiders. Then comes winter, ice, polar bears and penguins. Then springtime, flowers, ducks and so on. The teachers spend lots of time cutting out pictures and decorating bulletin boards. At an outdoor preschool, nature provides an ever-changing seasonal view. imaginary play: there’s not a toy kitchen with plastic food, but there is an endless supply of bark, rocks and mud which easily fill in for mud pies, pretend cookies, ice cream cones and more. There’s not a treasure box full of dress-up clothes, but there are sticks, which become magic wands, swords, light sabers, hobby horses, and more. Instead of playsets and puppet theatres, a favorite climbing tree may be a spaceship one week and a train the next. science: there’s a never-ending opportunity to teach about science! What are the benefits of outdoor preschool? Children get the benefits of a play-based preschool, including: increased skill at self-direction and problem-solving, lots of practice with social skills and conflict resolution, a sense that learning is meaningful, and reduced stress (which leads to increased learning – we know from the science of brain development that children learn best when they feel happy and safe.) Learn more about play-based learning here. Children also get the benefits of time spent outdoors in nature, including: better eyesight, stronger large motor skills and coordination, lower rates of asthma, allergies, and obesity, lower stress, and better concentration / attention when they return indoors. Outdoor play also encourages safe risk-taking and plenty of problem-solving. [Learn more by clicking here on Benefits of Outdoor Play or click on “nature activities” on the right sidebar (on desktops) or the bottom of the screen (mobile devices) to see all my posts on nature.] As an added bonus – anecdotally, kids who go to outdoor preschool seem to pick up a lot fewer colds and other illnesses from their classmates. The outdoor environment also offers unique learning opportunities. Here’s just one example related to language arts: Language is not just about reading. It’s also about listening and communicating. When children and teachers go for a hike in the woods, they talk to each other as they walk, about almost anything that comes to mind. In this context an adult tends to use much more diverse and sophisticated vocabulary than they would have used in a pre-scripted classroom teaching moment. For example, if a teacher wanted to teach about colors in a classroom, they might use a book that showed 12 colors with labels. When walking through the woods, the same teacher could point out lavender vinca, fuschia rhododendrons, rusty red rotting wood, dark purplish-black berries on an Oregon grape, and discover how many shades of green there are in their woods. What are the downsides to outdoor preschool? It’s dirty. Your kids may come home muddy. Really muddy. The weather. Can be too cold, too hot, too wet… Most of this can be managed with the right clothing. Expect to spend a fair amount of money buying the appropriate clothes for your child. You may be able to find them at thrift stores or consignment stores if you’re lucky, but good clothes and good boots are essential! Not an emphasis on academics: Some outdoor preschools do almost no academics. Some incorporate story-time and crafts to teach some basic pre-academic skills. Some have a fair amount of group time where they learn standard pre-school topics like: days of the week, colors, alphabet and counting. But, none are focused on teaching academic skills like reading and math. I believe this to be developmentally appropriate – read why at my post on academic preschools – that post also incudes tips on how some parents have worked academic preparation into their home-life when their children attend non-academic preschools. What is a typical day’s schedule? There’s not a “right” schedule – just look for the schedule that suits your child and your goals for enrolling them in the preschool. What is the teacher to child ratio? For safety reasons, you may need more adults in a spread out, outdoor location than in an enclosed classroom. Also, in an inquiry-based classroom, it helps to have extra adults to answer all the questions children can come up with during a walk in the woods. What indoor facilities do they have, and how do they use them? One preschool in the area has only some port-a-potties, but says children can also opt to pee in the woods instead of using the port-a-potty. Other schools have a full inside classroom with all the typical facilities. I offer my experience here not as “here’s how YOU should do things” advice, but more to illustrate one parent’s decision-making process for one particular child. With my older children, we did coop preschool, which I think is one of the best possible options for parents who are looking for a part-time enrichment preschool. My oldest child also did a theater-based preschool two days a week, because she had a passion for theatre, stories, and dramatic play. With our third child, coop was not a good match due to my work commitments. We considered a neighborhood preschool that’s a very short walk from our house – lots of our neighbors have used it and had only good things to say about it. We looked and it was a great traditional preschool, with lots of play time and plenty of activity. There was nothing wrong with it and a lot of good stuff. But, it didn’t feel like the best fit. Like many preschools, it had lots going on visually – alphabet posters on the wall, calendars and weather charts. There were lots of brightly colored toys on every shelf. It’s what preschools are “supposed” to look like but it was also a little too much for me. (Read here about why kids actually may learn more in environments that have LESS “educational material” decorating the walls.) It was also a “loud” room acoustically – even with just the adults in it for an open house, it was a little loud for me. My son tends to get over-stimulated in busy, indoor environments and can get a little wild and hard to manage. I could see this room setting him off. I thought more about that, and realized that he almost never gets over-stimulated outside. Outdoors, the noise and stimulation just comes at you differently. There’s plenty to observe, but not as much that demands your attention. So, we realized we were looking for an outdoors, active, play-based preschool with plenty of opportunity for social-emotional development. It was a fabulous experience in every way. He loved it. We loved it. And at the end of the year, he had come a long way in his self-control, ability to listen to a teacher, and ability to manage frustration, all of which were skills we knew he needed to gain from preschool. When he was four, we chose Polliwog Preschool, run by Pacific Science Center at Bellevue’s Mercer Slough. They have an indoor classroom, which has all the things you would expect to find in an indoor classroom. They also do many typical preschool activities, like story-time, job charts, and weather charts. 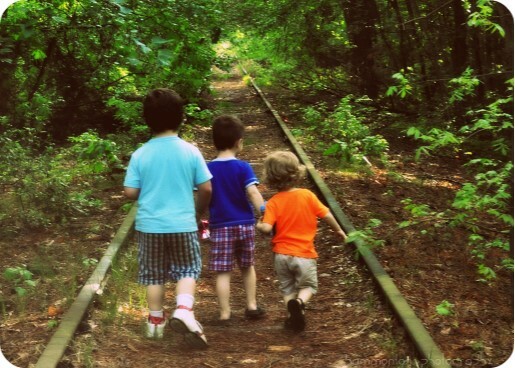 They spend about 50% of their time outdoors in the child-led / emergent learning mode. It is a nice hybrid of forest kindergarten and a traditional preschool experience, and we felt it would make the perfect bridge between Tiny Treks and a kindergarten classroom. Here’s how they describe their activities. Polliwog Preschool is play-based and student-driven… Activities are designed to [encourage] curiosity, fostering love of the natural world, and developing the whole child. Polliwog Preschool uses nature as the guiding theme to frame our core curriculum areas of science, art, music, math, language and literacy. For example, when studying insects, children act out the life cycle of a dragonfly and fly through the forest for creative movement. Investigative, quantitative and analytical skills are developed as we compare, count and study terrestrial and aquatic insects. … back in the classroom, we extend our learning and creativity in various ways, such as painting an insect at the art station or creating an insect story as a language art activity. This has also been a fabulous experience for him and for us. He has come a long ways in kindergarten readiness. The change in him from this summer till now has been huge in terms of his ability to engage in group activities, take turns, and follow instruction. 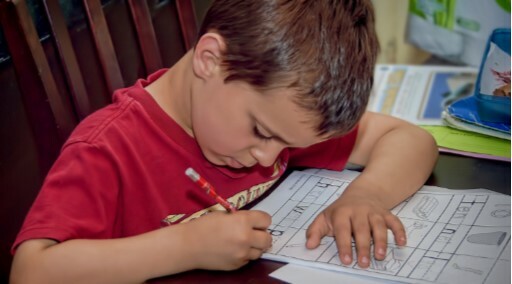 And although his preschools have been “play-based” not “academic” he is making plenty of progress on the academic skills and will be well-prepared for kindergarten next fall. About Forest School: http://www.forestschoolcanada.ca/home/about-forest-school. They also have a 64 page guide which is an EXCELLENT resource: Forest and Nature School: A Head, Hearts, Hands Approach to Outdoor Learning. This entry was posted in Early Learning / Preschool, Nature Activities, Seattle area and tagged environmental education, forest kindergarten, outdoor preschool, preschool on January 11, 2016 by Janelle Durham. January and February are the season for preschool fairs, preschool open houses and tours. Many schools have application deadlines coming up soon and will encourage you to apply as soon as possible to ensure that there’s space for your child. It’s easy for parents to feel a lot of anxiety and pressure in this environment. It is true that the sooner you decide, the more options you’ll have. And it is true that SOME schools will fill up soon, and if you don’t apply now, you’ll miss your chance. But the honest truth is that there are a ton of great preschools that not only won’t fill up in February, they’ll still have some space available when September rolls around! So, don’t panic about making the choice now if you’re not ready. When parents ask me “what’s the best preschool?” I emphasize that there is no one right answer to that question. A preschool program can range anywhere between 2 hours a day for two days a week to 8 hours a day for five days a week. The cost can range hugely. The way students spend their time, how skills are taught, and facilities range widely. Here are the steps I recommend to help you figure out what’s the best preschool for you. If you decide you’re looking, the first thing to think about is your concrete needs and goals for preschool. This includes both logistics (location, schedule, cost) and also thinking about what you hope your child will learn at preschool that they can’t learn from you at home or from the other activities they do. Then, research your options. Go to preschool fairs, do web searches, but also talk to friends, co-workers, and other parents on the playground. You’ll often learn about fabulous low-cost options by asking around. Then make the decision that feels right for you! Don’t base it on other people’s opinions but go with your own best judgment. Note on ages: preschool is generally for children age 3 – 5. (So, for fall 2016, that means kids born between September 1, 2011 and August 31, 2013.) There are programs for two year olds called “preschool” because many parents will pay more for something if it’s called preschool than if it’s called playgroup or day care… but really kids under 3 are operating at a different developmental level than a truly preschool age child, and would be better served by an age appropriate, play-based program. This entry was posted in Early Learning / Preschool and tagged bellevue, Kirkland, preschool on January 6, 2016 by Janelle Durham. Educators frequently encourage parents and teachers to ask “open ended questions” as part of a facilitated learning process. But it may be hard for parents and teachers to think of good questions as they’re playing with a child in a classroom or at home. So, I designed these posters to hang around the classroom to inspire parents with some good open-ended questions. They offer ideas of what to ask that will take the child’s learning to a new level. Click here for a PDF file and you can print your own. This entry was posted in Early Learning / Preschool, For Educators on October 9, 2015 by Janelle Durham.